BEYOND CELTIC”, a spectacular new PBS Special unlike any other Irish musical performance released in the past! 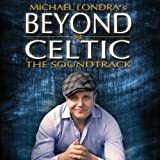 Coming Soon to Public TV: “BEYOND CELTIC”, a spectacular musical that recreates sounds from around the world with a unique Celtic twist. Featuring one of Ireland’s most beloved performers: Michael Londra. 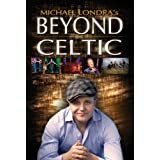 Michael Londra was the featured singer in RIVERDANCE’s Broadway Show in New York, before embarking on extensive touring on his own, throughout the world and the United States. Different from any Irish musical performance released in the past, “BEYOND CELTIC” features Londra’s 16-piece Orchestra, Irish Legend Frankie Gavin and his Celtic ‘super group’ De Dannan, the musical sisters of Sephira and some of the top Irish Dancers in the world. These passionate talents ignite the audience on a full-force Celtic journey into the heart of Irish culture.